If last year’s inaugural race was anything to go by we can expect fast times at Ironman Melbourne this weekend. 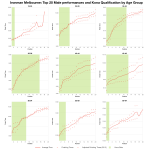 When I ranked the 2012 Ironman series back in January, Melbourne placed 7th fastest overall, this race is quick. Undoubtedly the course plays a role, but as the Ironman Asia-Pacific Championship and more importantly having 100 Kona slots Melbourne attracts a strong field. 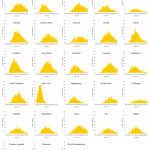 The 2012 Finisher distribution below highlights the speed of the course and athletes. 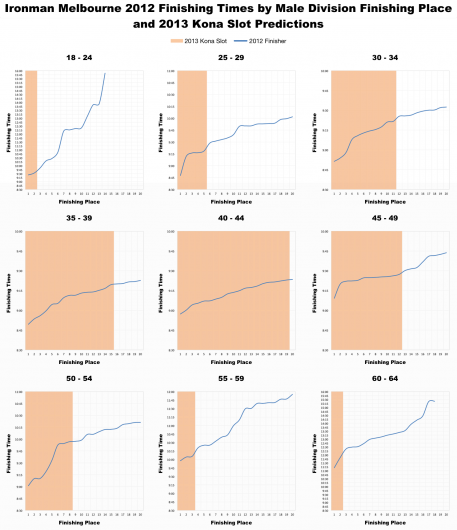 Strong left skews and narrow distributions, patterns comparable with the fastest European events. A fast race simply makes the competition at the front tighter. There are 100 slots available meaning double figures for some age groups, but this won’t make them any easier to obtain. 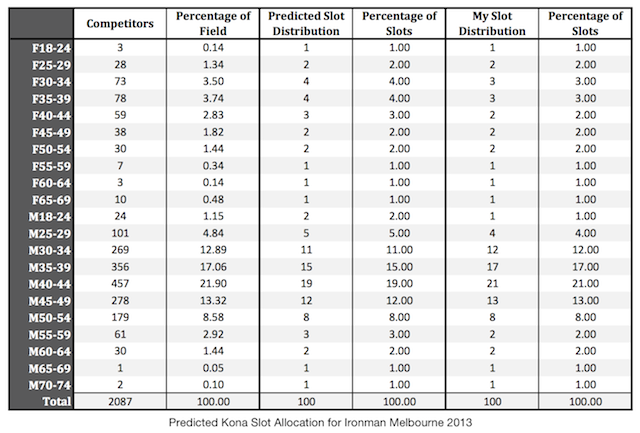 Kona slot allocation is determined from the starters on race day, but having refined my calculations I can make a reasonable attempt to estimate the distribution; as the table below shows there will be a lot of 40-44 year old men going to the roll down. I’ve also included my own allocation algorithm that distributes slots a little more closely to the actual athlete distribution. The real question, of course, is how fast do you need to be to earn one of those slots? 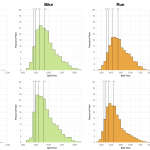 I only have one year of data to work with, but we can use the finishing times from last year’s race to gain some insight into the requirements of Kona qualification. 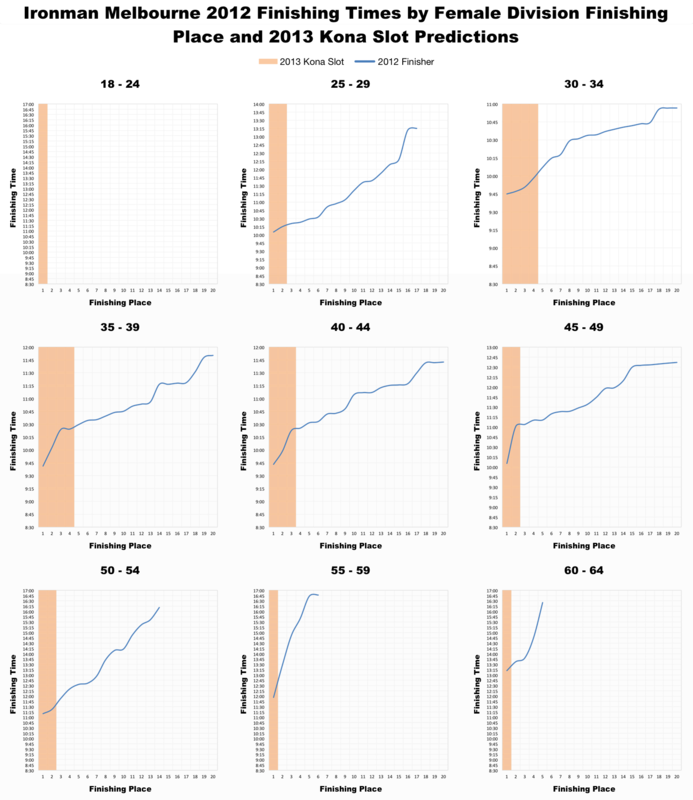 By plotting the times of the top 20 in each age group along with the number of slots available, as in the two graphs below, it’s possible to see what would have been required last year to earn those slots. 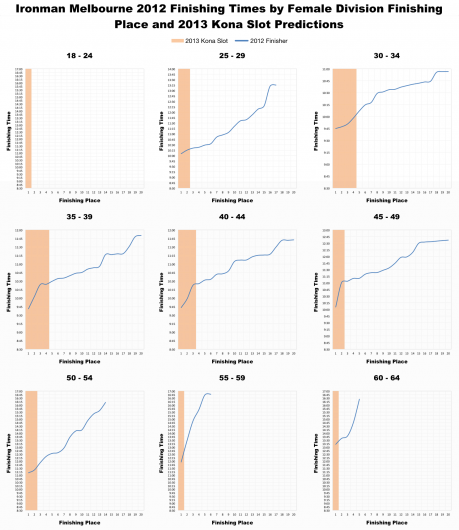 One year presents a limited picture: I don’t know if those times will prove typical of the event or not, there weren’t even any athletes in the female 18-24 category to make predictions from. But we can see that in the major male age groups qualifying times will be tight, with seconds separating some finishers. If you’re between the ages of 25 and 50 and a man I would be aiming to finish in around 9:20 if I wanted reasonable odds of a Kona slot. As usual in the female field, with fewer slots, it’s harder to make predictions, age group winners are often a step above those that follow. Ultimately it’ll come down to your training, on race day you do the best you can. This is the clearest indication I can give, if these times seem reasonable, then the odds are on your side. And if you don’t quite make the cut remember the roll down, with lots of slots on offer the potential to roll is high, 37th place in the male 55-59 age group went home with a slot in New Zealand last month. After the race I’ll fetch the results and see how the second Ironman Melbourne compares to the first. I am expecting it to be quick.